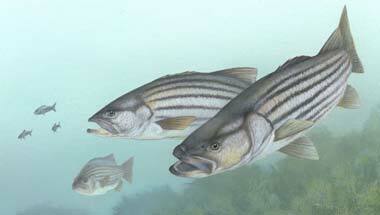 Striped bass; public domain illustration by Timothy Knepp / USFWS Digital Image Library. Also called bass, linesiders, stripers, and rockfish, striped bass are a prized recreational game fish. Striped bass have a life expectancy of at least 30 years and can grow to over 4 feet. It takes 5 to 8 years for a female to reach sexual maturity, and females tend to grow much larger than the males. 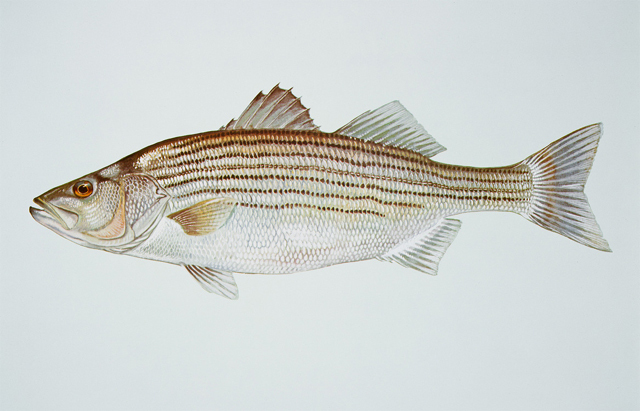 Striped Bass (Morone saxatilis); public domain illustration by Duane Raver /USFWS Digital Library. 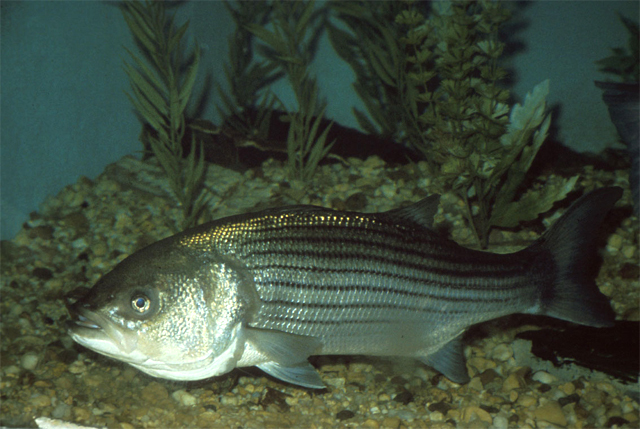 Striped bass; public domain photo by U.S. Fish & Wildlife Service.